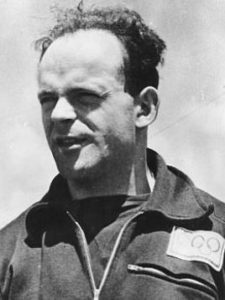 Aulcie Perry (b. 1950) was born in New Jersey and went to university in Florida on a basketball scholarship. Between 1974 and 1976, Perry played for a number of professional basketball teams, and was signed by the New York Knicks at one point. After being discovered by an Israeli scout, Perry signed with Maccabi Tel Aviv and moved to the Holy Land. 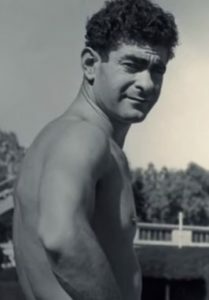 In his first year, he led Maccabi to its first Euro Cup championship. He would go on to play nine seasons with Maccabi, helping them win six Israeli Cups and two Euro Cups. Meanwhile, Perry fell in love with Israel and the Jewish people, and decided to formally convert. He took on the new name Elisha ben Avraham. Unfortunately, Perry got into some drug troubles and would be arrested in New York. He spent several years in prison before returning to Israel. Perry worked hard to clean up his image and become a positive role model. 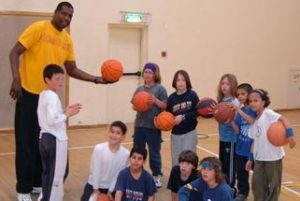 To this day, he sponsors a basketball camp for Israeli kids, and coaches a Maccabi Tel Aviv youth team. The rest of the time he manages a Burger Ranch (Israel’s McDonald’s). Perry is credited with sparking a basketball craze in Israel, and making the sport popular there. He also paved the way for many future basketball stars to sign with Israeli teams, including Anthony Parker and Amar’e Stoudemire in recent years. The term “Aulcie Perry” is still an Israeli slang for a very tall person. Simchat Torah/Shemini Atzeret Begins Tonight! Chag Sameach! This entry was posted in World of Sport and tagged Basketball, Burger Ranch, Champion, Convert, European Cup, Maccabi Tel Aviv, NBA, New Jersey, New York Knicks on October 11, 2017 by Jew of the Week.